have you tried the wiki? Hey my minecraft crash because this mod, Please help me! Hello! It seems there is a conflict between Minestrappolation 5 and Better with Mods (and Addons). Just wanted to inform all three authors. Something about a "Loot Table"
While the main purpose of this mod seems to be the continuation of the old BTW Addons, Im curious if you do have any plans of expanding on the integration between BWM and other mods. One such interaction I'd really appreciate would be further integration between BWM and IE. In particular, an IE powered Motor, that can power BWM axles and would thus facilitate small spread apart midgame setups such as pulley-elevators or screw pumps. A reasonable implementation would probably have the motor drain energy constantly and thus power connected axles, unless powered/NOT powered by a redstone signal. This way youd circumvent the jump between different kinds of powersystems (constant vs limited, tick based). This would be an absolute gamechanger. I had a similar idea, but mine was reliant on variants of the existing machines, such as a powered saw, a powered mill, etc. This would be a much better implementation. How does a clutchbox work? It's not in the Better With Mods manual and I can't find any information through Google. I don't know what you're talking about. It's clearly in the manual. My apologies. It looks like the version of Better With Mods included in the current release of SevTech ages is 0.41. I disabled the Japanese culture module but I can still see what I assume are items and blocks of the module still in the game. Is this a bug? items and blocks are always registered, disabling the module will only disable the ways to get them. This is done so you don't get fatally missing block/item errors upon joining a server. Cool mod! Can I use this in my modpack =) ? 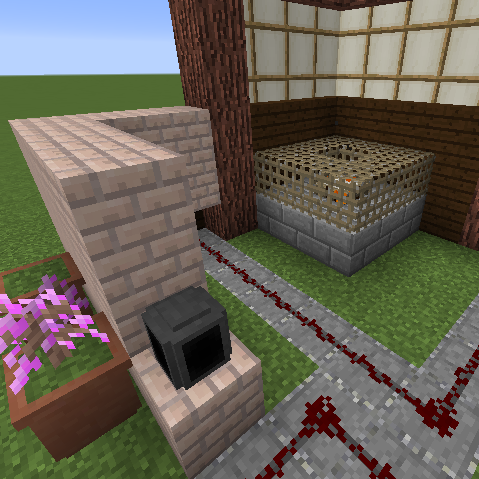 What is the mod that the aqueduct block comes from? or was that made just for this mod? This WIP mod served as inspiration to make it, all the mechanics are basicly original though, since it doesn't have a released build or anything. can you make the alicio trees work with dynamice trees ??? I've asked this before but didn't really get an answer on it. It's the only mod I use that doesn't have some kind of compatability with it and is kind of bothersome.